Immediate payment of £10.89 is required. Good service but poor quality product. No remote, constant hissing interference. This product is amazing! I've never known an aux product where you can skip Spotify songs without using your phone! 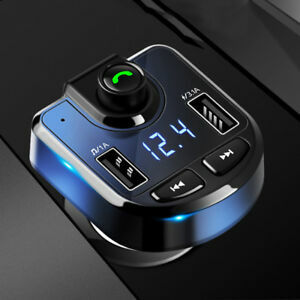 My wife had aux built into her car but after seeing and using mine she is purchasing herself one, great price, rapid delivery, all round 100% amazing. Would recommend to anyone!! I’m surprised by the sound quality and appearance of this device. For the price it’s definitely worth the money. Gives out a better signal than when I’m listening to standard radio channels! Yes its quite cheap but you still expect some kind of resemblance to the description. Poor sound quality and unable to get rid of a nasty hissing noise ( even though it states sound suppression ) I have tried it in 2 cars but the results are the same . No English instructions, only Chinese, brilliant. Still simple enough to work out what to do. Works OK happy enough with it for the price.